North Adams: North Adams Catholic Community (St. Elizabeth of Hungary Parish - St. Anthony's Kitchen) - All Saints Episcopal Kitchen and Congregation Beth Israel. 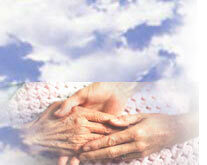 Over 3,000 homebound elderly are currently served by this program. Since its inception in 2003, through the efforts of the 3,000+ volunteers currently part of this program, in excess of 550,000 meals have been provided through 2018... over 50,000 of those meals were provided in 2018 alone. The initial annual estimate for 2019 is to maintain the number of meals provided during 2018 and to further expand and develop our service area and participating volunteer base in Berkshire County, Franklin, Hampden and Hampshire Counties (The Pioneer Valley). Please click on the above individual images to enlarge.